Interactive infographics have become crucial for the successful marketing of businesses, especially startups. This visual medium of conveying a brand message with simple but impressive presentation of information and allow the viewer to discover things on their own. In fact, a survey by Hubspot reveals that interactive infographic has hugely impacted B2B marketing (52%) in the past 12 months. But what makes these infographics such a revered commodity amongst marketers and businesses is the use of eye-catching visuals, lesser text, bright colors and interactive information that allow the viewer to interact with the data. Here, we present to you some easy ways to help you understand how to create high-quality, interactive and custom infographic designs tickle pink the fancy of your consumers and visitors. Gather Well-Researched Data – Infographics are all about presenting a topic around its key data. So, first get statistics that aptly define your topic, issue or business as a whole. Major source of data are surveys, customer profiles, reports, research firms, industry organizations, product usages and internal activities. Use Stats to Share a Story – Do not use numbers and facts for the sake of it. Instead, use them to tell your business story and convey your business goal of creating the interactive infographic. 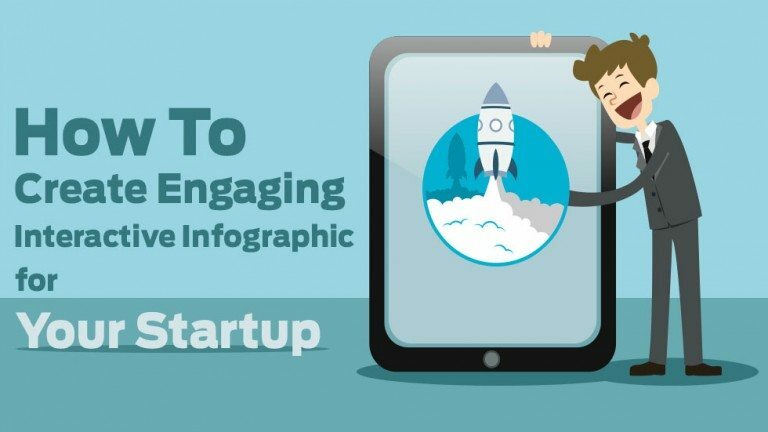 After all, infographics are a way to promote your business so it is Important to Investing In High-Quality Interactive Infographics To Startups. Just review your data and reassemble it in the form of an interactive story. A way to do this is to divide your infographics in several sections that are related to your ideas. Select Right Visual Theme – Your data must accompany a visual theme that matches with your brand’s personality. According to business2community.com, branding, audience and distribution are key considerations for choosing visual theme. Make sure that your visual style reflects personality of your business and audience alike. Create Multidimensional Content – As compared to a quick journey from top to bottom provided by a static infographic, when creating your interactive infographic, multidimensional content is a key point to consider. To ensure that, real-world examples taken from your customers’ experiences, situations and results must only find place in your infographic. You can also add analogies for easy understanding of complex stats. Alternatively, add quotes and commentary from researchers or a video clip of a leader discussing the issue to drive home a point. Use Handy Tools – Interactive infographic design is evolving fast and so are their tools from the designers. In fact, Huffington Post suggests you to you get acquainted with the latest tools to create interactive infographics and images to drive traffic to your website. We’re sure, these tips will help you in designing your interactive infographic to summon the attention and interest of your audiences, and engage your audience in a meaningful way.